New York Rep.-elect Alexandria Ocasio-Cortez is donating personal items to be enshrined in exhibits about her life, lending her campaign trail shoes to the Cornell Costume Collection exhibit. The exhibit, entitled “WOMEN EMPOWERED: Fashions from the Frontline,” seeks to display articles of clothing that made women “feel empowered,” Fox News reported. But critics also pointed out that Ocasio-Cortez played fast and loose with her claims to have been brought up in the middle class Bronx. In fact, she actually grew up in the upper class Yorktown Heights neighborhood of wealthy Westchester County. Indeed, Yorktown Heights presents quite a contrast to the Bronx. According to USA.com, the town’s population is 81 percent white, and median household income is $96,413 – nearly double the average for both New York State and the nation, according to data from 2010-2014. The Cornell Costume Collection was thrilled with the donation. 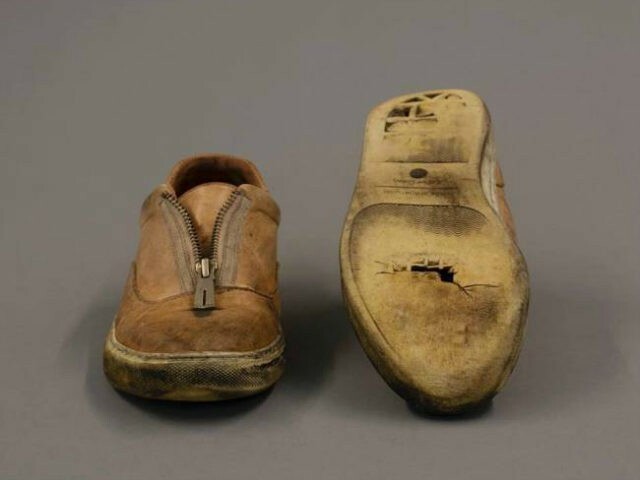 “We can’t think of a better example of fashion from the frontline: U.S. Representative-elect Alexandria Ocasio-Cortez of New York’s 14th district has loaned us her first pair of campaigning shoes,” the Cornell Costume Collection wrote on its Instagram page. “These shoes represent the hard work, dedication, determination, and commitment of the youngest woman ever elected to Congress,” it concluded. Cornell’s “WOMEN EMPOWERED: Fashions from the Frontline” opens on December 6 in Level T of the Human Ecology Building at Cornell College.